Is there a way to recover my formatted pictures from Windows 8? I fully formatted my hard drive and I lost all my pictures. Is there software that can recover (even if it’s very expensive)? BTW, I'm using the latest Windows 8. Thanks a lot for your help. When you format the hard drive, data saved on the hard drive actually is not wiped immediately. That's to say, you can't see your original photos directly on the hard drive, because they're marked as useless and the place that they occupied has been marked reusable for new data. Once you write new data in, those formatted data will disappear forever. 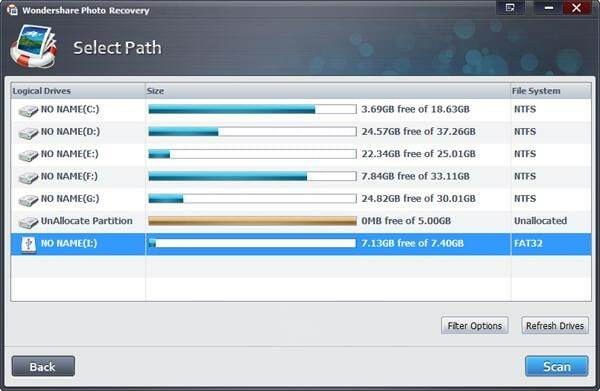 Therefore, when you find important data missing, stop add new data to the same partition or disk to avoid lost data being overwritten. Then how can I recover those not really formatted photos from Windows 8? 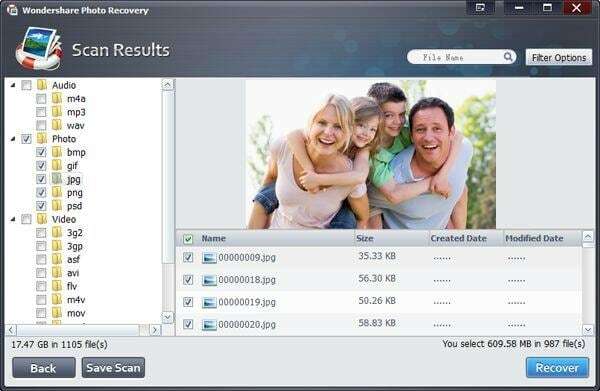 You need a photo recovery program to help you. You're using Windows 8 on your computer, so the program should be compatible with Windows 8. Read the system requirement carefully when you decide to download it. 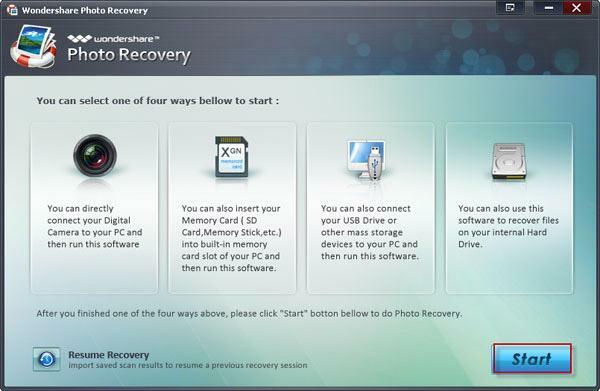 If you don't have an option, you can have mine here: Wondershare Photo Recovery, which works perfectly with Windows 8 and allows you to recover formatted pictures from Windows 8 with ease. Download the free trial version of this Windows 8 formatted photo recovery tool below to have a try. Remember that don't download and install it on the original partition where you lost your photos before. When launching the formatted photo recovery tool on your computer, you'll get a main window below. Click "Start" to begin Windows 8 formatted photo recovery. When all the partitions on your hard drive are found and displayed, choose the one where your formatted photos were saved before and click "Scan" to find those formatted but didn't be overwritten photos. After the scan, all recoverable files can be found and displayed in clear categories, like audio, photo and video. To recover photos, choose the "Photo" category and you can preview each of the photos before recovery. Mark those you want to recover and click "Recover", you can save them on your computer with one click. If you're using the free trial version or you want to recover the data later, don't forget to save the scan result by clicking the "Save Scan" button at the left bottom. Later, you can directly recover these data by importing the scan result without scanning again.